The Summer can reek havoc on my makeup. 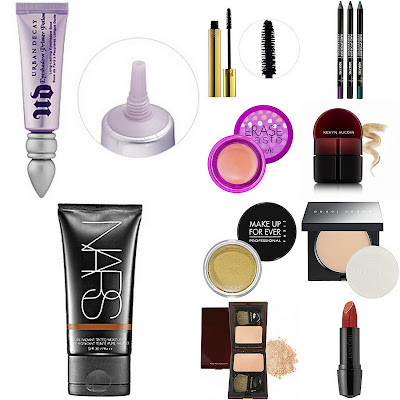 I was determined to find makeup that would not melt off my face the minute I stepped out into the heat and humidity. These are my favorite products for the summer heat. What are you favorites for the Summer? Let me know, I love hearing from you! ohh love this... i didn't know nars had a tinted moisturizer!! will definitely have to try that out.. i'm using georgio armani tinted moisturizer right now and i like it a lot! as for the lashes haha.. i do where them quite a bit.. basically anytime i wear makeup i wear them.. i asia and we're blessed with non-existant eyelashes haha.. no matter how much mascara i put on it's just i still don't have eyelashes. hahaha. i promise you you will not glue your eyes together!! haha and even if you do it's easy to unglue it because the eyelash glue is not very strong at all.. it's really easy just take a little bit of eyelash glue and put it on the eyelash band.. and wait for it to get tacky!! very important.. if it's still wet when you try to put it on your eyelid it'll move around and get glue all over the place! once it's tacky just place it near your lash line and you're all done :)!! hope this was helpful! Nars tinted moisturizer is AMAZING!!! Thanks for all the tips about using fake lashes. I'm going try it. Will let you know how i do! Thanks again!! !